Somewhere between Bremer Bay and Cape Arid on the beautiful south coast of WA was our destination. This was leaving our options open given it is about a 300km stretch of coast. 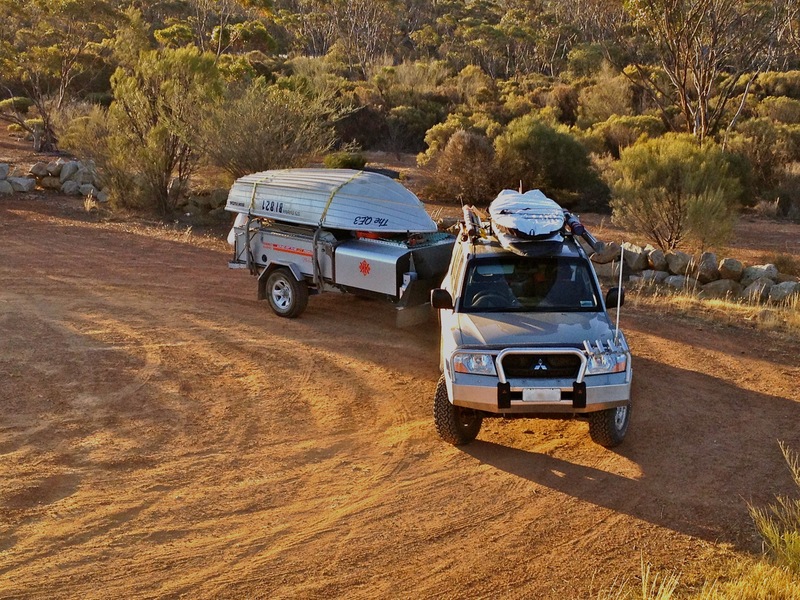 Our criterion was simple: a place to launch the tinny, a camp site where you are able to see the water and no crowds. On Boxing Day, we made one final stop at BCF to spend our Christmas vouchers, and then hit the road. Hot weather, hot roads, big hills and a big load equal one hot Pajero. Going over the Boddington Hills proved a little taxing on the Paj and we had to pull over in some shade and let the radiator and engine cool down. Before it had, The Driver decided to release some pressure from the radiator cap. You all know what happens next. Sitting in the front passenger seat, and peering through the bottom of the windscreen through the little gap at the hinge of the bonnet, all I could see was a massive fountain of what looked like hot green cordial. Of course it was coolant and fortunately, no one was burned. Eventually the heat subsided in the motor so we topped up with warm water and took it nice and easy over the remaining hills, coasting on all the downhill stretches to let the motor cool. Lake King was our stopover for the night. We knew the campground as we had stayed before. It was dark when we arrived so we had quick showers, leftover cold Christmas ham and Mum’s plum pudding (with brandy sauce – yum) then into bed. This was our first overnight stop with the boat on the loader. We were really pleased with how easily it flipped over and rested next to the camper. On Christmas morning we had been fiddling around with the camper on the front lawn. I had been lying on the grass looking under the camper and noticed a hollow tube that looked just about the right size to fit a piece of the folding boat trailer into. It was an epiphany. We were able to fit the top section of the boat trailer, with winch, into this tube. We now use the boat trailer winch to assist in flipping the boat (on loader) over onto the camper. The gas struts are not quite up to the weight when we have the main section of the folding trailer (40kg) and the boat (85kg) on the loader. So using the trailer winch has really made it easier. In the morning, our pack up at Lake King was really quick, aided by the winch, followed by a hot shower and we were back on the road. Lambcruzr was staying at Fanny Cove on the coast near Stokes Inlet so we decided to head in that general direction and see how it looked. We called through Ravensthorpe for some last minute supplies and drinking water. It was sad to see the massive renovations to the IGA at a complete standstill. Since BHP Billiton, in 2010, suddenly announced the closure of the yet-to-operate Ravensthorpe Nickel Mine, all of the promised growth and prosperity for the community evaporated overnight. While the mine has since been sold and is now operating, it is on a smaller scale and the ramifications are still obvious in the town. We were happy to spend up at the IGA and support local business. Now on the South Coast Highway, past Munglinup, we headed to Fanny Cove. You turn south at the Quagi Beach sign (75km west of Esperance) and then turn west at Farrell’s Road, which is a limestone and sand track – in good condition but some corrugated and some boggy sections. 12km takes you to the end of the track at Fanny Cove. Following very closely behind us was a dual-cab ute with a couple of guys who were obviously keen on getting to the campground too. We were grateful for the single lane track because if they had passed us, they would have scooped the last remaining camp site. Fanny Cove is a gorgeous little spot. The cove itself faces northwest giving good protection from most seabreezes. The water was crystal clear and the sand white and soft. A rocky headland protrudes from the cove and a walk trail takes you around and over big granite outcrops to the south-facing coast. We set up camp in the fourth of four sites. A little track winds about 50m up from the beach and our camp site was at the end. The surrounding bush provided great protection from the wind, but the sand was quite black. Whilst not a show-stopper, it did prove a bit grotty by the end of the week. At the bottom of the track were a drop dunny and a small day use area – but no other facilities and no water. It was hot when we arrived but we set up the awning and our new shade panels over the gull wing and off the front of the awning. The set up gave us great shade and a welcome wind break. Over the week we spent loads of time fishing in the boat and also explored the local area including Shoal Cape and Quagi Beach. 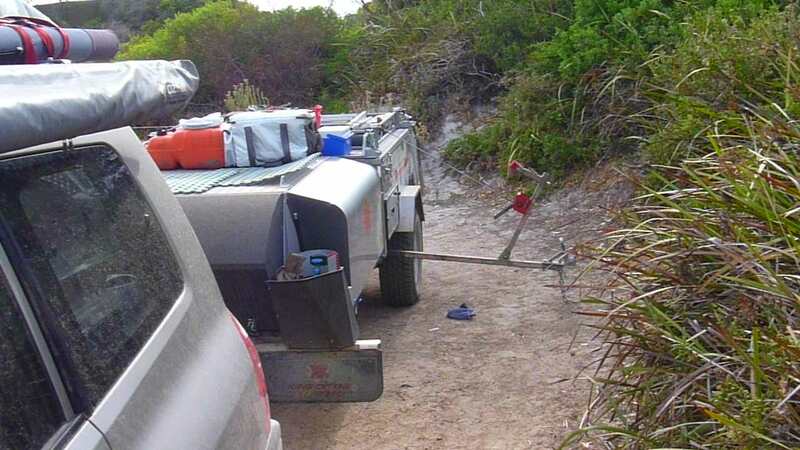 Unfortunately we couldn’t access Stokes Inlet from the east – the only option was to go all the way back out to the highway, head west then south to the western side of the inlet. The road was too rough to consider towing the tinny on the track with just the folding trailer, so we didnt do this. Back in Fanny Cove, there was quite a bit of activity for the week we were there. Other campers came and went; we had plenty of beach chats and beers with Lambcruzr, his mate and their lovely wives; and locals came and went with their big fishing boats. 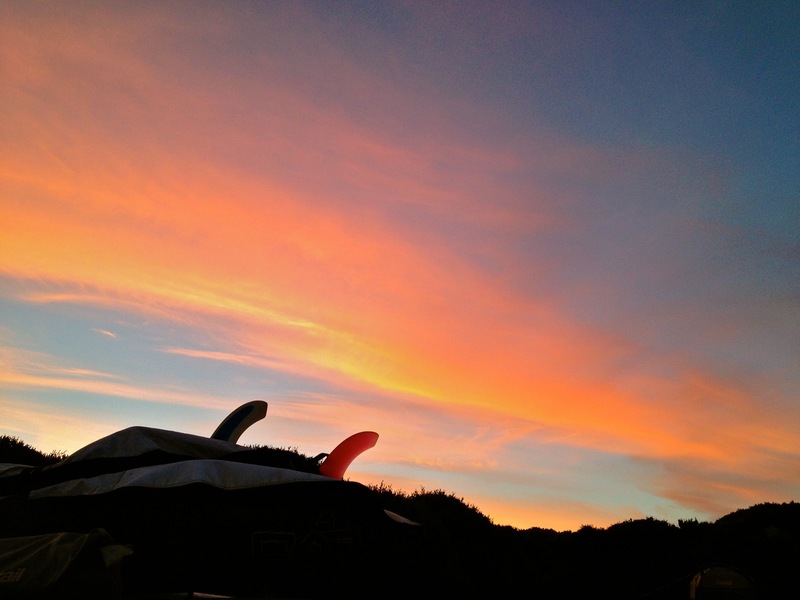 Before we knew it, our week at Fanny Cove was up. It was the first day of 2013 with a forecast of 44 degrees, and of course, it was the most stunning beach day that the cove had provided. Never mind, our holiday wasn’t over yet. After pack up we had our last swim, a quick fresh water rinse and were back on the road heading further east for another two weeks of adventure. a great report Stozz. 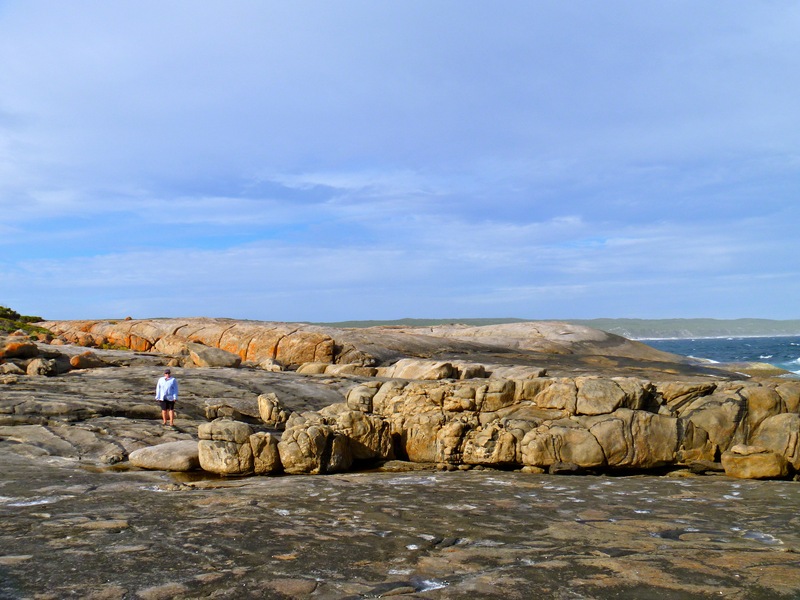 My wife and I tarvelled east of esperance in Feb 2011 and loved it. especially some of the isolated camping spots. For some reason we missed fanny Cove but went to Quagi for a quick look (not to our liking). We went into Stokes inlet that is DEC site and looks great and we caught some big bream from the shore. The ranger at Stokes gave us some directions along a fence line that apparently brings you out to a spot that has a offshore reef and deepwater channel that has heaps of big fish. 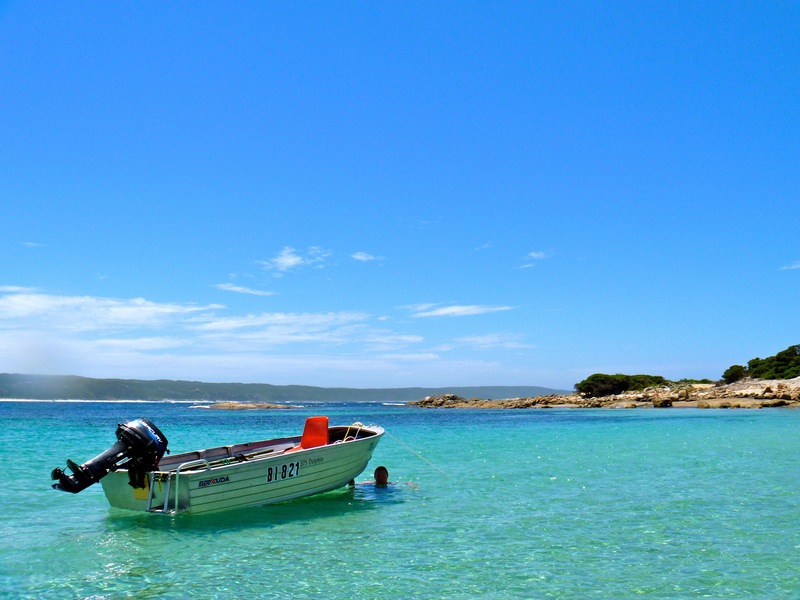 Next time you go to Orleans Bay go west to big wharton beach and drive along the beach west to Victoria Harbour. Both Big Wharton and especially Victoria harbour have to be at least equal of Lucky bay without the crowds. Thanks Dave. We love that stretch of coast. Except Quagi – which was definitely not for us. Fanny Cove was awesome. There are only 4 camp sites and the they have black sand which was a bit tiresome by the end of the week. But the beach is gorgeous and the cove is protected. 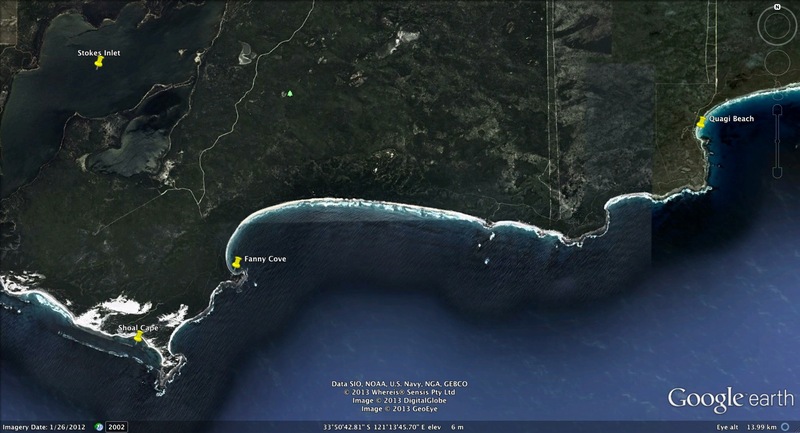 I think the reef and channel you are talking about is at Shoal Cape, just a few kms west of Fanny Cove. Check out the map on the bottom of this post to see the tracks. I have a post on this blog about that Shoal Cape too. It is a STUNNING piece of coast. There are a couple of small campsites at the end of a boggy track, and then lots of stairs down to the beach. We have been to Big & Little Wharton and Victoria Harbour many times. I love the squeaky sand under your car tyres (or toes!). Shoal cape looks as if it could be however we didn’t actually get to shoal cape as we ran out of time getting back to Esperance that day. However the ranger said that the spot was west of Stokes inlet along the fence line. If I look at google earth I can see a track that runs off the stokes inlet road along the fence line that takes a westerly direction and then down to the coast. Another spot to put in out bucket list eh?